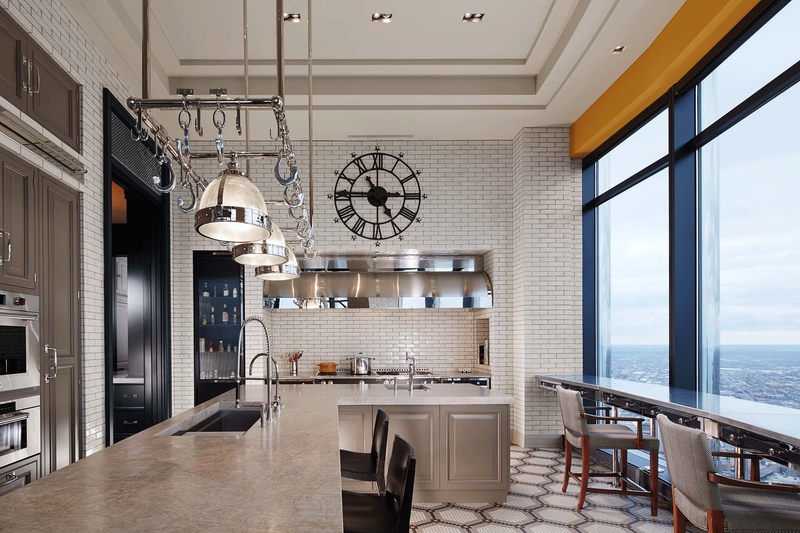 The word jurors used most when discussing this project by DesignBridge is “drama.” In the beginning, the space was characterized by raw concrete floors and dropped drywall ceilings, which made up a series of boxes that framed panoramic aerial views of the Chicago skyline. The boxes were tall and disjointed but provided a canvas of opportunity. The firm used paneling to create more intimate spaces, while focus was also placed on portals to signal movement and transition. The architects created a series of spaces that, while situated in a modern setting, maintain a classic, timeless interior. “The firm did a great job of integrating all individual components of the space together,” one juror said. “And that art program!” exclaimed another.